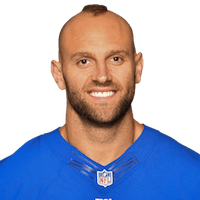 Published: Sept. 1, 2016 at 08:22 p.m.
New York Giants linebacker Mark Herzlich recovers New England Patriots running back D.J. Foster fumble. Published: Aug. 29, 2013 at 09:12 p.m.
New England Patriots quarterback Ryan Mallett's pass is intercepted by New York Giants linebacker Mark Herzlich late in the first half.